A circle has the equation below. What is the circumference of the circle? The radius is 3. Yielding a circumference of . If a circle has an area of , what is the circumference? For a circle, the formula for area is and the formula for circumference is , where is the radius and is the diameter. 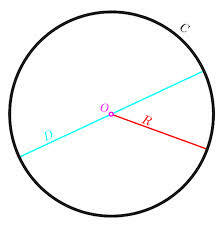 Line is the radius of the circle shown and has a length of 7.5. What is the circumference of the circle? Find the circumference of a circle with a radius of . We can substitute in the value for the radius in order to find the circumference of the circle in question. Find the circumference of a circle that has a radius of . Find the circumference of the circle with a radius of .